A simulated archaeological excavation can be defined as an experimental project organized by a classroom teacher that has an educational goal of reconstructing human behavior using archaeological techniques (Chiarulli et al. 2000). Students can learn about archaeology and archaeological methods in a classroom setting but there is nothing like a hands-on experience offered by a simulated excavation. The Section of Archaeology at the State Museum has been working with Susquehanna High School for over five years on a very popular forensics archaeology project and now another high school is getting involved in archaeology as a way to enhance the educational experience of their students. As part of Mr. Daniel Reilly’s AP World History class, 13 students at Cedar Cliff High School will be spending two weeks this May learning about and doing archaeology at a simulated site near the sports stadium. For these students, it becomes experiential learning. Their participation in this archaeological excavation is something they can appreciate and they will be able to call on this newly acquired knowledge for the rest of their lives. The field work actually began earlier this spring, when Mr. Reilly (assisted by several other teachers who were intrigued with the project) created a mock archaeological site by placing artifacts in the ground. They buried artifacts that represented a prehistoric camp site including a fire-cracked-rock hearth with charcoal and food remains situated next to a pile of flakes from the production of stone tools (the debris created by an actual flint knapping demonstration). In the corner of the site, three burials were placed; not actual human remains, but deer skeletons aligned in a human-like fashion – thus creating the “deer people”! Mr. Reilly registered the site with the Pennsylvania Archaeological Site Survey and was assigned the number of 36CU0210. The students began with several days in the classroom where they were taught the difference between archaeology and paleontology; that archaeology was a subfield of anthropology – the study of human cultures; the nature and significance of stratigraphy; and the importance of archaeological context or the location of the site and the three dimensional location of the artifacts within it. They were also treated to a flint knapping demonstration where they were offered the opportunity to try their hand at chipping stone into tools. At the end of this class, they hafted the flakes onto handles to experience actually using stone tools. Mr. Reilly holds an MA in Archaeology from Queen’s University of Belfast in Northern Ireland where he has excavated Bronze Age, Iron Age, and Medieval sites. 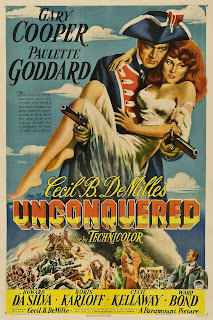 He also spent four years in compliance archaeology all along the Mid-Atlantic US before becoming a teacher. He was very excited about this project but it required a lot of planning and effort on his part. Working with a limited budget, he received assistance from KCI Technologies and the State Museum of Pennsylvania, Section of Archaeology for shovels, buckets, trowels, brushes, tapes and screens. Maybe next year, someone would be willing to donate these materials as a permanent contribution to the project. He also had to manage a crew of 13 inexperienced but eager students and luckily he received help from fellow teachers and the archaeology staff at the State Museum. With anticipation, students started the “dig” this week. Field work began with the students conducting a controlled surface collection across the thirty foot by thirty foot site and placing flags where they found artifacts. This was followed by a lesson on the transit and laying out the excavation grid. Archaeology is all about mapping and identifying patterning in artifact distributions. Everything needs to be mapped! Based on the controlled surface collection, six teams of two students each selected a one meter unit for excavation. Using the principles of the Pythagorean Theorem (A squared + B squared = C squared), the students placed stakes at the corner of their squares, connected them with string and began digging. The plowzone was excavated with shovels and the soil was screened. The students had been taught that the artifacts in the plowzone were out of context and did not need to be mapped with the same precision as those found below in undisturbed layers. But, once in the subsoil, they began carefully digging with trowels and brushes. The field work will continue into next week. 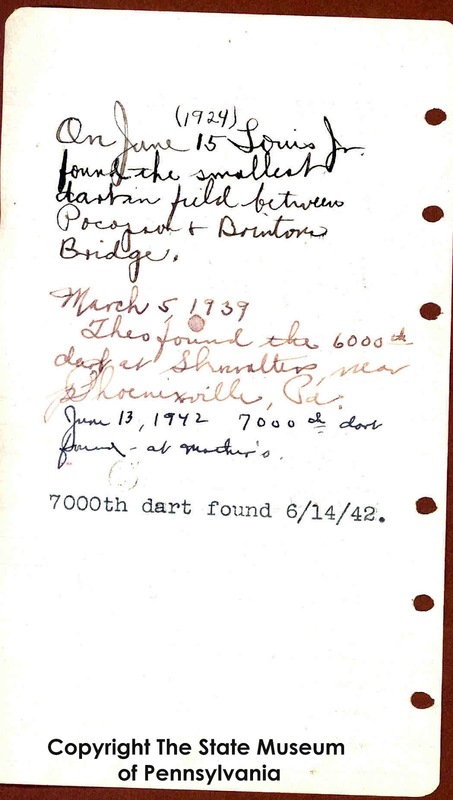 Field notes are taken to document the location of artifacts and features. In the lab, the artifacts will be examined and a report developed, documenting the methods and the findings. The students will enjoy finding “stuff”, but they will also enjoy weaving the story of how the artifacts got to the site. Each student’s excavation report will include a review of excavation methodology used at this site, an analysis of recovered artifacts, conclusions drawn about the “culture” based on that analysis, and a recommendation for further work. Archaeology is a multidisciplinary study and allows teachers to demonstrate basic principles of science, geology, biology, mathematics, history and anthropology. Simulated archaeological projects can be entertaining for the students but they use archaeological data in multidisciplinary programs to develop critical thinking skills. A simulated archaeological project can demonstrate a systematic approach to scientific discovery and it emphasizes behavior rather than artifacts. An archaeological field experience for high school students allows teachers to answer the age old question often asked by students when taking science math, etc… – “Why do we have to know this stuff?” This experience leads students to see how other disciplines tie into creating the ‘big picture’ and allows them to understand why all learning is important. 2000 Simulated Excavations and Critical Thinking Skills. In The Archaeology Education Handbook, edited by Karolyn Smardz and Shelley J. Smith. pp.217-233, Altamira Press. Native groups utilized the river gorges of the Allegheny and Clarion Rivers for gathering chert cobbles found in river gravels for stone tool production. 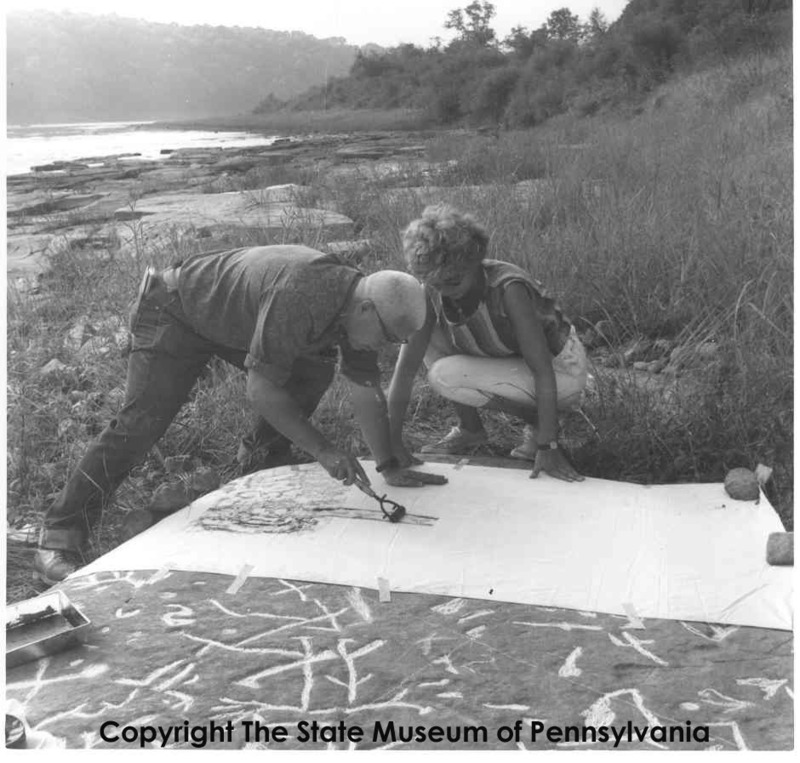 Small rock shelters along the Clarion River have also provided evidence of use by Native groups as recorded in the Pennsylvania Archaeological Sites Survey (PASS) files. 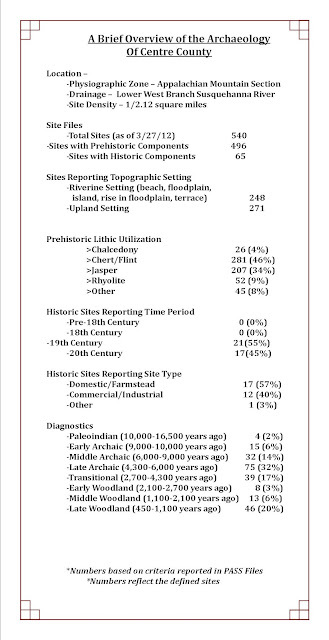 The number of sites recorded in riverine settings, fifty-five, is almost half the number of upland sites. Native groups likely procured lithic resources in the river bed before moving into the surrounding lush forest areas for hunting. Petroglyphs recorded on the Allegheny and Clarion Rivers further support evidence of Native American cultures. 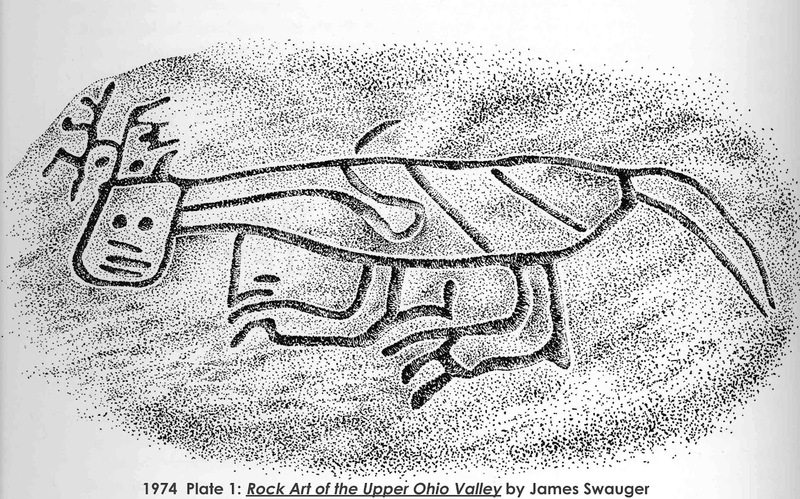 Parkers Landing Petroglyph site is on the east bank of the Allegheny River near Parker, Pa. Numerous designs were recorded and categorized by James L. Swauger of the Carnegie Museum of Natural History in Pittsburgh. 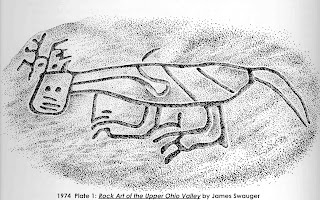 Swauger identified dancing ducks, turkey, turtles, geometric patterns and mythological creatures in the designs carved in Burgoon Sandstone. The figure of a mythological creature referred to as a “Water Panther” is a common design in the Algonquin belief system. No exact date or cultural affiliation has been determined for the petroglyphs recorded in Pennsylvania, but researchers believe they were created within the past 1,000 years. Along the Clarion River students from Clarion University excavated at the State Road Ripple site (36CL52) under the direction of Dr. Gustav Konitzky from 1970 through the early 80’s. This deeply stratified site has provided researchers with radiocarbon dates that range from the Paleoindian period through European Contact. Bifurcate points considered a marker of the Archaic period have yielded dates from approximately 5500 to 7400 BP at State Road Ripple site. This site also had an historic component, excavated near the surface of this site, associated with the War of 1812. Early accounts of contact with Native peoples place the Seneca Indians in this region. The Clarion River was reportedly called "Tobecco," which means "dark brown water” by local Native groups. The brown color of the river is the result of decaying evergreen needles which produce tannic acids. The north-western part of the state was controlled by the French at the time of western expansion. The French controlled this important trade route from Canada to French territories in Louisiana. In 1757 the Provincial Council tried to convince the Seneca to join forces with the British against the French. The Seneca refused and instead they joined forces with French troops during the French & Indian War which would last for the next seven years. The British eventually prevailed and a treaty for the purchase of lands in this territory was signed at Fort Stanwix, NY in 1784. Many publications have been produced documenting the French and Indian War and the conflict among troops, settlers and Native Americans during this battle for control of lands and expansion of territories. Filming of a classic 1940’s movie set during this period was partially completed at various sites in western Pennsylvania, including Cook Forest. 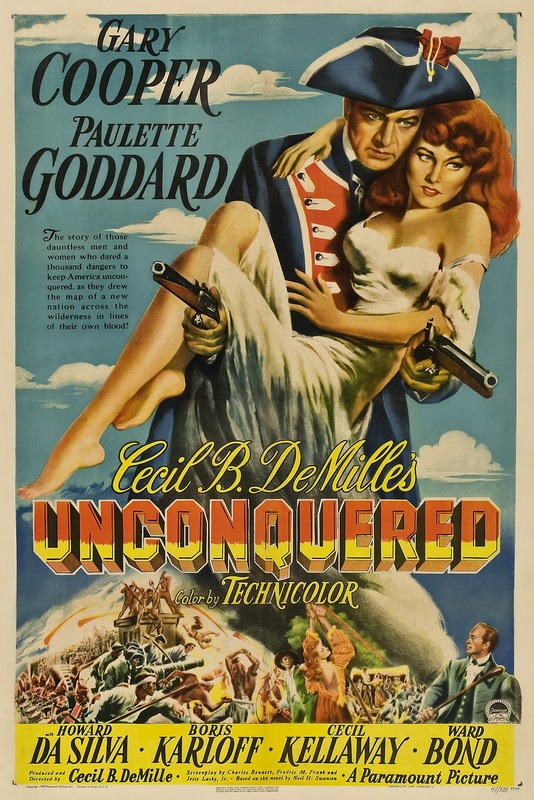 This iconic film depicted a frontiersman saving Fort Pitt from raiding war parties of Seneca Indians, while rescuing the distraught beauty from a life of slavery. Early industries included lumbering which relied on floating logs down the Clarion River to the Allegheny. Lumbering also supplied wood for boat building and for charcoal necessary for the local iron industry. An oil boom in 1869 lasted until the oil was exhausted in 1879 and was replaced by coal mining. The Philadelphia and Erie Railroad was built in the 1870’s and provided additional means for transporting lumber, coal and iron from the region. Farming continues to play an important role in the economy of the region. Gristmills and sawmills which supported local communities dot the landscape of Clarion County and have been recorded and investigated on a limited basis. The low number of recorded sites in the county is partially attributed to the rural community and limited development. We hope you have enjoyed this journey back in time and will seek out the history and prehistory of your county. Follow along with us as we travel across the state exploring the archaeological heritage of our Commonwealth. These resources are Pennsylvania’s heritage and for all of us it is our window into the past. Help us to protect and preserve these archaeological resources which are crucial to our understanding of the past. 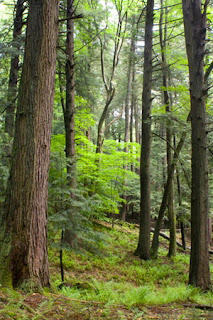 This week we are pleased to feature Chester County, Pennsylvania as our TWIPA blog. Chester County is located in extreme southeastern Pennsylvania. It is surrounded by Lancaster, Montgomery and Delaware counties. The Brandywine drainage cross cuts this section of the Piedmont physiographic province. Other water systems border on the county’s north side and form part of the Schuylkill River Valley. As of January 1, 2012 there are 920 recorded archaeological sites in Chester County with the vast majority Archaic in age. Broadly speaking, this was the homeland of the Lenni Lenape or Delaware Indians. According to “A Map of 18th Century Indian Towns in Pennsylvania” (Kent et al 1981: Table 1) six of their settlements were located in Chester County: Okehocking, Queonemysing and four others, whose Delaware names are not known. 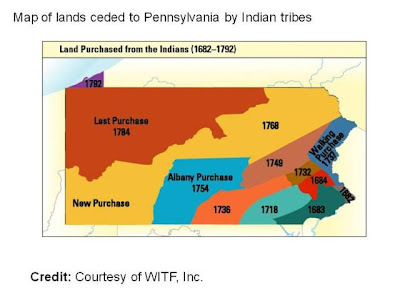 Colonial documents identify these settlements as being variously occupied from the 1690’s to the 1730’s when William Penn was beginning to establish a foothold in the land we call Pennsylvania. This peaceful relationship between the Natives and Europeans was short lived. It was not long before the Delaware began a long migration westward to a place now called Oklahoma, where their descendents live to this day. The principal route used in this relocation was through central Pennsylvania where the Delaware established temporary settlements along the Susquehanna’s West Branch and on into the Ohio country. 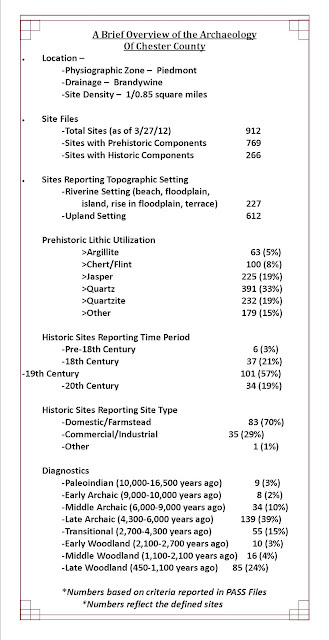 In terms of archaeological sites we are most fortunate to have a large database established for much of the county, especially for the central and western sections of the Brandywine and West Brandywine Creeks. An incredible number of Native American artifacts spanning the period from Paleo-Indian through the 18th century have been found along these drainages. One of these enormous collections is curated at The State Museum of Pennsylvania where it is maintained for research and exhibition purposes. 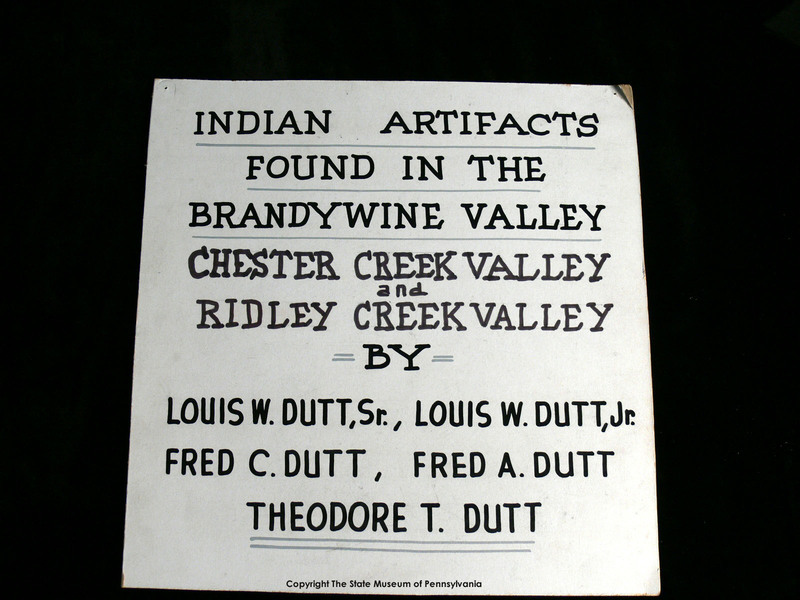 On October 5, 1982 the Dutt Family Indian Artifact Collection was donated to The State Museum of Pennsylvania by Fred C. Dutt and Louis W. Dutt, Jr. It included 26,000 bifacially flaked tools (13,728 whole projectile points), numerous large pecked and ground stone tools, and prehistoric ceramics. This private collection provides dramatic illustration of the ways in which Native American inhabitants of the Brandywine Creek drainage utilized readily available natural resources throughout time. 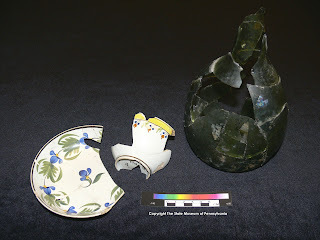 Artifact collection locations recorded by the Dutt family revealed information on 66 new archaeological sites in Chester, Delaware and Montgomery counties which have since been added to the Pennsylvania Archaeological Site Survey (P.A.S.S.). All pieces were found by surface or field hunting over a period of nearly 85 years. 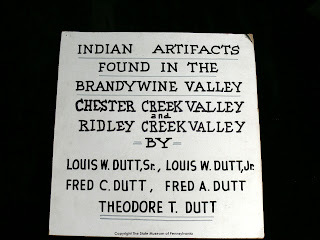 Never owning an automobile, the Dutt brothers would ride the West Chester trolley to the end of its several lines and return home on foot, collecting from farm fields along the way. They donated the entire collection to The State Museum of Pennsylvania so that it could be enjoyed by future generations and to insure that it would not be dispersed after their deaths. Over the years numerous cultural resource management projects involving archaeological survey and data recovery have been conducted in Chester County. One of these, the data recovery of (36CH687) a little house located in a corner of the Havard Farm on Swedes Ford Road (Affleck et al. 2004). This site was a homestead occupied around the turn of the 19th century. Discovery of the partially preserved remains of a stone house foundation, the remnants of an outdoor oven and a trash strewn yard indicate a simple household. Perhaps built and used by a family of rural underclass people. They were not unique to the region nor the time. By 1820 the property was abandoned leaving behind the evidence of their lives. Dietary information, or “what the occupants ate” recovered from the site included the bones of animals, cereal grains and to a lesser extent, condiments and fruits. Pigs and sheep were the principal meat sources consumed throughout the year and the analysis found that young animals were preferred for their tenderness. Indeed, it is truly amazing what archaeologists can interpret from the lost and discarded artifacts/ecofacts of a site. We hope you have enjoyed this glimpse into Chester County archaeology and encourage you to visit us next time, on our journey to Save the Past for the Future. 1981 A Map of 18th Century Indian Towns in Pennsylvania. Pennsylvania Archaeologist 51(4):1-18. 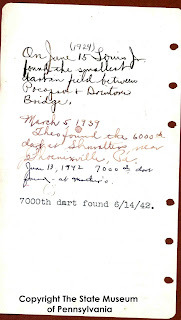 Centre County: Jasper quarries, Late Woodland hamlets and early compliance surveys. This week we travel to the center of the Commonwealth in the West Branch of the Susquehanna drainage basin to Centre County. 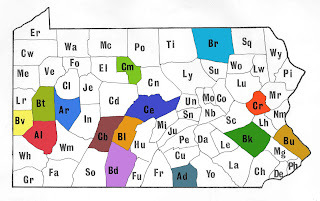 It is located on the western edge of the Appalachian Mountain Section of the Ridge and Valley physiographic province. The largest stream is Bald Eagle Creek which joins the West Branch at Lock Haven. 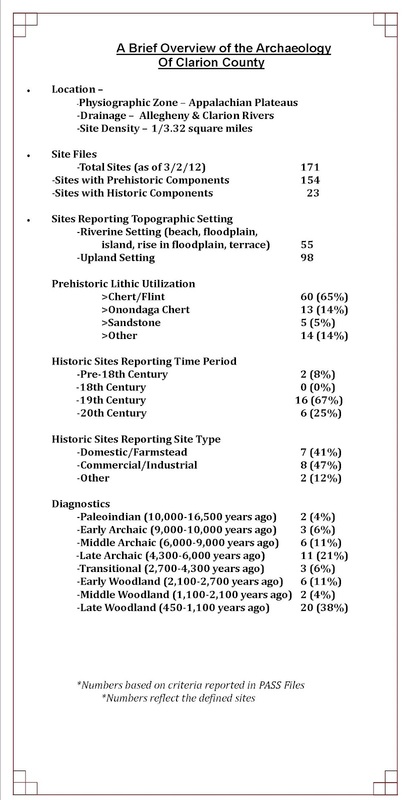 There are 540 sites recorded for the county in the Pennsylvania Archaeological Site Survey files. This represents a moderately high density (1 site per 2.12 square miles) compared to other counties. The Bald Eagle jasper quarries, located just outside of State College, were a major lithic source used by prehistoric peoples but as is true for most of the Ridge and Valley province, chert is the most frequently found lithic material at prehistoric sites. Bald Eagle jasper is the “other” jasper source in Pennsylvania although it is consider to be of a lesser quality than the better known Hardyston quarries in eastern Pennsylvania. It is generally more grainy with a dull luster compared to the Hardyston quarries of Vera Cruz, Macungie and Kings. Curtin Village and Eagle Iron Works property is owned by the Pennsylvania Historical and Museum Commission and represents the main historic site in Centre County. This site, which dates between 1810 and 1921 consists of an iron furnace, mansion house and workers housing. The iron industry was important to the development of Centre County and by 1810 the "Juniata Iron" industry, was producing half the pig iron in the United States. Iron was transported first by wagon, then canal and eventually by railroad. Curtin Village was established as a company town, as were most iron “plantations” of the time which insured a constant work force for the charcoal fired furnaces. Oak trees were burned and converted into charcoal which fueled the furnaces and as a result the surrounding hill sides were stripped bare of old growth forests. It was through the generosity of one of the iron barons of Centre County, James Irvin, that the campus of Penn State was established as an affordable school for the local farm community. Irvin recognized the importance of affordable education-“we must connect the acquisition [of scientific knowledge] with manual labor—“. Under the direction of Dr. James Hatch, Pennsylvania State University conducted most of the major early archaeological investigations in the county. One of these early surveys conducted in compliance with the National Historic Preservation Act was for the Penn State Bypass project. The project impacted the Bald Eagle jasper quarries and resulted in these quarries being determined eligible for listing in the National Register of Historic Places. The adverse impacts of highway construction were mitigated by a large scale excavation of several sites. Dr. Hatch was able to determine the types of activities that took place at these quarries and the nature of the initial stages of stone tool production. Hatch went on to also conduct a major survey of the Hardyston quarries in preparation for the I-78 highway project in the Bethlehem/Allentown area. Using material from both of these investigations, he conducted chemical sourcing studies of jasper in the Middle Atlantic region and discovered a chemical “signature” for several different jasper formations in the region. This research has allowed archaeologists to address issues of trade and seasonal migration patterns. The results of his work are still used today. Another early compliance project conducted by Penn State was the Jacks Mill project. The site (36CE0230) was a large multi-component occupation mostly confined to the plowzone and dating between Early Archaic and Late Woodland times. It was associated with a large spring and documents the intensive use of this ecological setting by prehistoric groups. 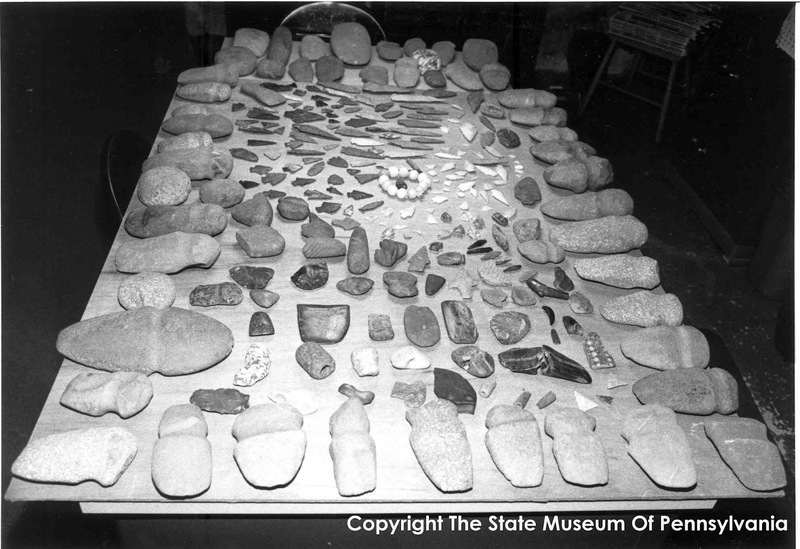 A controlled surface collection was conducted, resulting in thousands of artifacts. This was followed by the removal of large sections of the plowzone in a search for prehistoric processing and hearth features. This project was notable as one of the first investigations of an upland site that produced datable subsurface features from the Late Archaic (4300-6000 years ago) and Transitional periods (2700-4300 years ago). Late Archaic features in upland settings are especially rare and these provided valuable information on the use of plants in the diet during this period. 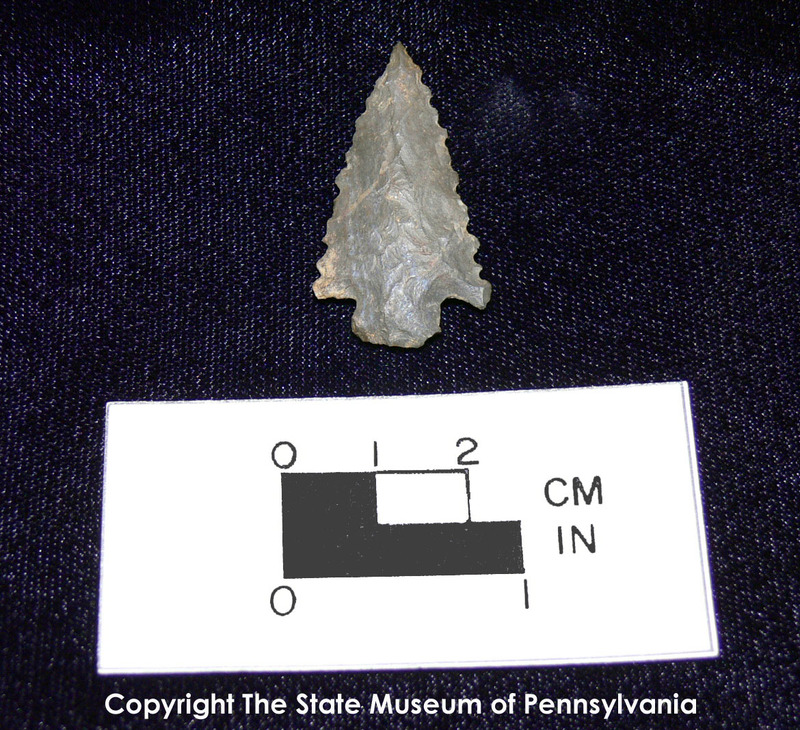 The Milesburg (36CE0038) site is situated along Bald Eagle Creek and was also excavated by Penn State. This site is not stratified but it produced material dating from the Middle Archaic through the Late Woodland period. It produced over 7000 artifacts including more than 150 projectile points. The low variety of other tool types suggest this site was generally used by small groups as a transient hunting camp. Approximately 70% of the artifacts were made from jasper and 20% were in metarhyolite. 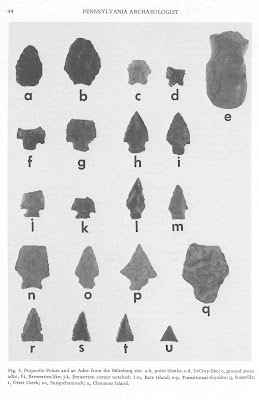 The small number of Late Woodland artifacts were in chert. Three features were uncovered including a hearth feature measuring one meter in diameter. This was associated with five metarhyolite broadspears, a steatite bowl fragment, a Bare Island projectile point, Vinette I pottery and a large number of metarhyolite flakes. The excavators concluded that this represented two different occupations – one representing the Transitional period and one representing the Early Woodland period. Many archaeologists now believe that these artifacts overlap in time and may represent a single occupation dating around 3000 years ago. The excavation at the Fisher Farm site (36CE0035) conducted by Penn State from 1976-1978, was significant because it was a stratified Late Woodland occupation. The goal of this excavation was to identify changes in diet, house types and pottery styles. What is believed to be a series of Late Woodland hamlets radiometrically dated between AD 960 and AD 1520 were uncovered. Unfortunately, only part of the site was stratified and house patterns were not as identifiable as was hoped. In the stratified portion of the site the archaeologists were able to document the evolution of early Late Woodland ceramics from Clemson Island/Owasco types to Shenks Ferry types. 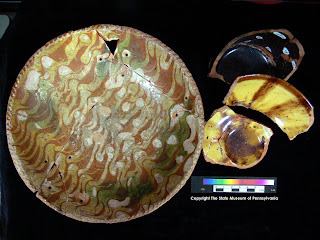 Shell tempered ceramics that date to a later time were also present but these were difficult to confidently place within the chronological sequence because of overlapping radiocarbon dates. 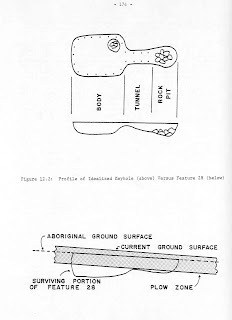 Hatch (1980) argues that the ceramic changes were slow and overlapping. 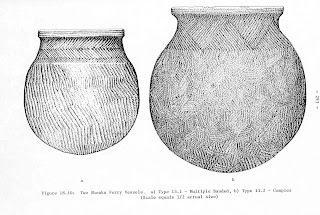 At times two ceramic types were being used at the same time in the same hamlet. Traditionally, it is believed that these ceramic types represent different time periods. The excavation uncovered over 50 features and a variety of post mold patterns but the patterns were incomplete and it was difficult to document any house patterns or the evolution of house types. A keyhole structure was identified consisting of a depression two meters in diameter. There were a series of post molds just inside the limits of the depression with an opening to the east and a hearth at the opening. 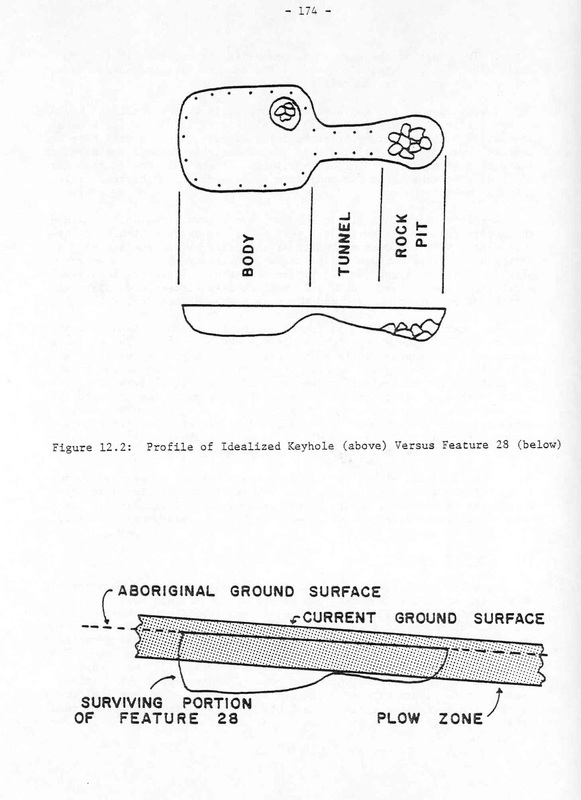 These features were interpreted as semi-subterranean structures that may have been used for food processing (a smoke house) or food storage units. The excavations at Fisher Farm were not as conclusive as predicted but this research motivated archaeologists towards solving these problems. Many of the early compliance surveys throughout the United Stated were conducted by local universities such as Penn State. For a variety of reasons, the universities gradually got out of the consulting business and by the mid 1980’s, they were replaced by private contracting companies. At Penn State, a group of graduate students formed there own consulting firm (also a common practice at the time), Archaeological and Historical Consultants, and they are still conducting investigations today. We hope you’ve enjoyed this glimpse into the archaeology of Centre County and that it inspires you to learn more about the archaeology of your county. These resources are Pennsylvania’s heritage and for all of us it is our window into the past. Please help us preserve these important resources by reporting and recording your archaeological finds while we all Preserve our Past for the Future. 1980 The Archaeology of Central Pennsylvania, Volume I, The Fisher Farm Site, A Late Woodland Hamlet in Context. Occasional Papers in Anthropology, Number 12, Department of Anthropology, The Pennsylvania State University, University Park, Pennsylvania. 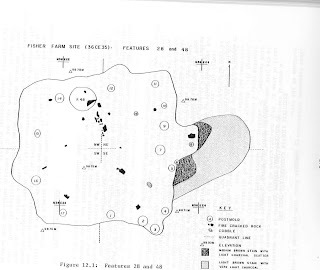 1983 A Stratigraphic Analysis of Late Woodland Material Cultural Change at Fisher Farm. Pennsylvania Archaeologist 53:11-27. 1985 Procurement, Tool Production and Sourcing Research at the Vera Cruz Jasper Quarry in Pennsylvania. Journal of Field Archaeology 12:219-230. 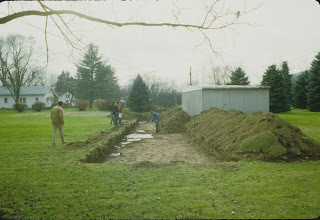 1984 The State College Bypass Archaeological Project: Final Mitigation Research. Report prepared for Erdman, Anthony, associates, Inc., Mechanicsburg, Pennsylvania. 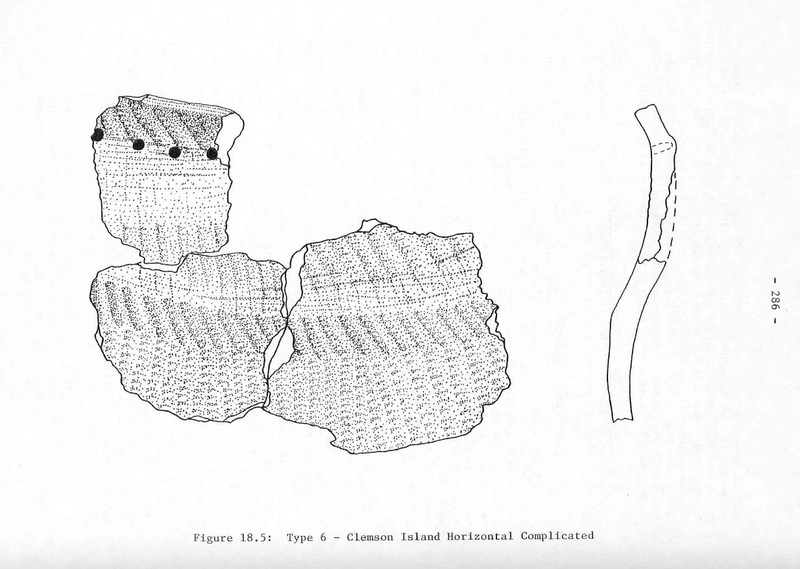 1985 Archaeological Investigations at the Jacks Mill Site (36Ce230), Final Mitigation Research. Department of Anthropology Technical Report No. 7, The Pennsylvania State University. 1977 The Milesburg Site: A hunting Camp in Central Pennsylvania. 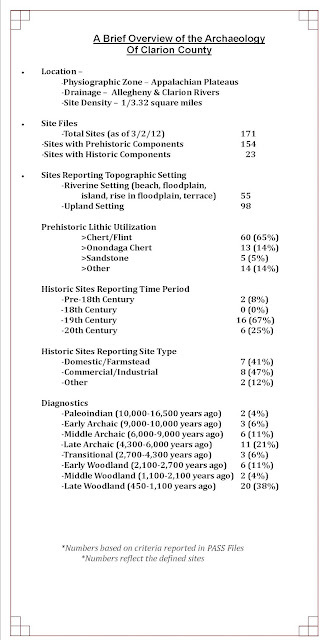 Pennsylvania Archaeologist 47:37-47.